"The bicycle social event of the season returns. Dig out your tweedy best and dress up like the bike-loving dandies of the 1920s or 1890s. A special guest on the ride this year is Paul Steely White of Transportation Alternatives. 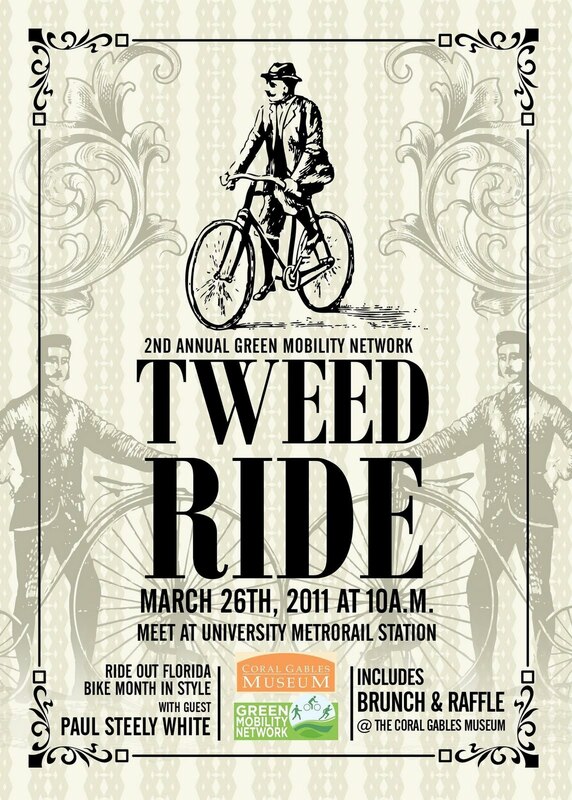 We'll ride to the Coral Gables Museum for brunch and a fun raffle. Professor David Rifkind of the FIU School of Architecture will once again provide us with the history of the Coral Gables landmarks we will be visiting."